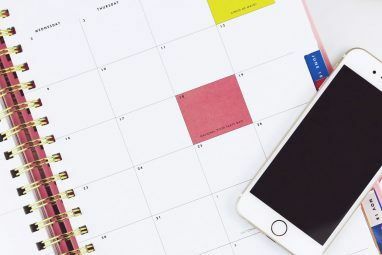 Adding reminders and calendar events to your iPhone should be a painless process – and it can be if you use the right time-saving apps and tricks. 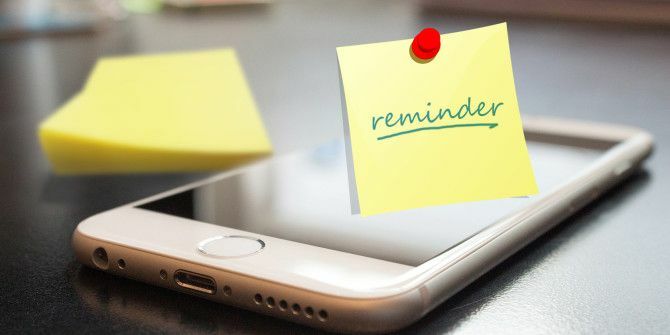 Apple’s cross-platform Reminders system is useful, with iCloud keeping everything in sync between iPhones, iPads and Mac computers. But the system isn’t the be-all and end-all of remembering things using your phone, and there are several other apps and techniques that will help you keep track of a busy schedule. The advantage of Apple’s Reminders app is that it syncs across all your iOS and Mac devices via iCloud. The app allows for multiple lists, date and time alerts, and location reminders How to Set Up Location Alerts in iPhone Reminders How to Set Up Location Alerts in iPhone Reminders Set location-based alerts using the iOS Reminders app and never forget to buy bread or pick up a package ever again. Read More , which we have previously covered. Adding a simple reminder can be done in 2 or 3 taps: tap the list, tap and type the reminder; tap again to set a date and time, and finally, tap Done. The app also allows for recurring reminders. Incidentally, for those interested in using Reminders and David Allen’s Getting Things Done (GTD) method, check out this Simple GTD With Apple’s Reminders App [No Longer Available]. Let’s check out other ways to add reminders on your iPhone. One of the fastest ways to add reminders to your iPhone is using Siri. Say you’re in the kitchen, and while looking in the fridge and cupboards you see you need some grocery items. At that point, you can pull out your iPhone and give Siri the command to add grocery items to the “Grocery” list you have previously set up. When you press the home button to activate Siri, you can tap on the “?” in the bottom-left of the iPhone to see the full list of commands you can use with Siri. As you probably already know, the iPhone has an alarm and timer that can be quickly accessed by swiping up from the bottom of the iPhone, or by opening the Clock app. But quite frankly, for a simple reminder, it takes too long. It’s easier to have Siri set a timer or an alarm rather than having to dial it in. Simply ask “Siri set a timer for 60 minutes” and the personal digital assistant will make it so. When not using Siri, an app appropriately called Timer (Free) is also useful, because it allows for 15 preset times that can be activated with a single tap. Times can be labeled, which means you won’t have to remember the time duration for hot tea, boiling an egg, or your power nap. 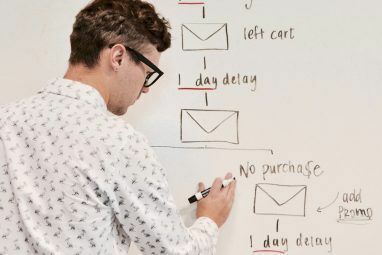 Automation website IFTTT The Ultimate IFTTT Guide: Use the Web's Most Powerful Tool Like a Pro The Ultimate IFTTT Guide: Use the Web's Most Powerful Tool Like a Pro If This Then That, also known as IFTTT is a free web-based service to get your apps and devices working together. Not sure how to build your applet? Follow along with this guide. Read More provides a few useful recipes 8 iPhone IFTTT Recipes You Can't Live Without 8 iPhone IFTTT Recipes You Can't Live Without When IFTTT launched an iPhone app in July, it opened up a whole slew of new possibilities about how to put the incredibly handy service to even better use than ever. Read More for setting reminders, such as a setup that creates a new to-do in the iOS Reminders app when an email is sent to IFTTT from a designated email address. Another recipe will send a reminder if it’s going to rain the next day, and this recipe will send you any reminder added to the iOS Reminder app. You can add a startling number of events and triggers to your Apple Reminders app using this method, all of which will be pushed to your various devices using the magic of iCloud. Sometimes remembering things involves using an entirely different system altogether. I use an app that’s simply called Time ($0.99) to keep a list of reminders for when I purchased a specific product, upgraded my iPhone, the number of years I’ve been married, when to replaced the battery in car and other similar things. These are not necessarily time-sensitive reminders, but they are types of useful information we needed. Time helps you determine how long it’s been since something happened or how long it will be until something happens. Alarms can also be attached to timed items. While these types of items can be kept in a calendar app, I prefer Time because I can easily browse the list and get the exact time and date I’m looking for. 2Do is my personal management application Take Control of Tasks & To-Dos With the Powerful 2Do for Mac & iOS Take Control of Tasks & To-Dos With the Powerful 2Do for Mac & iOS A powerful take management application is the best way to stay on top of your to-dos and projects, and 2Do is one of the most robust cross-platform organisers for Mac, iOS and Android. 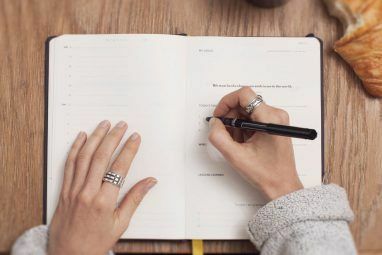 Read More of choice, and one of the features I find most handy is after-completion reminders. After-completion reminders are recurring reminders, but they only recur after you check off the last specified reminder for the same task. So for example, I have a reminder to check or change the oil in my car every three months – but say I wait four months to complete that task. The new reminder for that tasks won’t automatically occur again until after I’ve checked the previous one. This way, you’re only reminded again after you complete the task and after the set time. This feature is not available in the iOS default Reminders app, but it is also available in the personal management application, Omnifocus Getting Things Done, Better: The Redesigned OmniFocus 2 for Mac Getting Things Done, Better: The Redesigned OmniFocus 2 for Mac A few years back, I gave up on the original OmniFocus because it felt too complicated for what I needed – step in the redesigned and cleaner Omnifocus 2. Read More . We have heaped praise on iOS and Mac calendar app Fantastical ($4.99) in the past, and one of its most popular features is the ability to set up a reminder by simply writing it out, such as “Meet with Ryan Thursday at 6pm” – Fantastical will fill in the calendar data, saving you several taps in the process. Fantastical also includes a duplication feature. Most often we set reminders for recurring appointments, such as a dentist appointment, but we have to set a different date and time. Fantastical allows you to duplicate an event, which means it retains all of the information for the event, but allows for changing the date and time. This feature is also useful if you need to keep your calendar events listed for tax purposes. Fantastical will sync with your iCloud Calendar. Finally, there’s also the default iOS default Calendar app, which while useful for basic purposes is not as powerful as Fantastical, especially since it lacks the ability to type an appointment and have the data automatically filled in. On the other hand, the iCloud Calendar does allow for sharing a selected calendar publicly and privately with other people. To share on the iPhone, select or create a calendar you want to share. Tap on the “i” button next to the calendar and then add an email address of a person you want to share the calendar with. Repeat this process for each person you want to add. An invitation will be sent to your invitees, which they can then accept. There are several dozen other reminder apps for the iPhone in the App Store, like the popular Any.Do and the minimal gesture-heavy app, Clear. Whichever app you choose, make sure it allows you to set up to-do’s quickly so you can spend time doing more important things. What do you use to remember things on your iPhone? Explore more about: Calendar, Organization Software, To-Do List. The most awesome Siri feature is "Siri, remind me about this email". It turns your email your reading into a reminder. I just wish there was a non Siri way to do this. I like RemindersPro. Similar to the iOS Reminders app but has additional features, such as combining all lists into an "All" list, coloring by priority, sorting, gestures, grouping, and filtering. Thanks for letting us know about RemindersPro. I'll check it out. I use the reminder app to alert me of the passage of time by having it go off every hour. I have a non intrusive chime tethered to the app and have turned off confirmation messages of the alerts so they don't require a tap to get rid of them. Rin ryo oki, good idea. I used to do something similar on my Mac, to see how much work I was getting done each hour. Thanks for your feedback. Ericesque, thanks for your feedback. I'll take a look at GoodTasks. woow...Nice blog..I also mostly used all these features in my phone.Thanks for sharing.Keep Sharing in future. intouch01, appreciate the feedback, and thanks for being a MakeUseOf reader.